The CNA Salary in Alaska can vary depending on the amount of experience you possess, the city you reside in as well as the type of facility you work at. 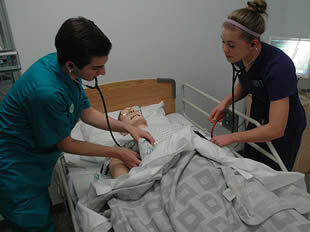 Certified nursing assistants are one among the most sought-after medical employees these days. They are members of a health care team who work under the supervision of LPNs or registered nurses. They render quality care to various clients which include bathing, taking vital signs, grooming, and many more. In the field of health care, the demand for certified nursing assistants is growing and opening opportunities for a lot of individuals who have interest in this industry. Alaska is a state where CNAs can apply for a job because it is a state that is regarded as one among the employers who pay the highest rate, followed by New York. In the US, entry-level certified nursing assistants earn an average salary wage of about $20,000 per year. In Alaska, the income can start at approximately $24,000 and can increase to about $31,000. The wages per hour differ depending on shifts either day or night. Entry-level CNAs are able to earn about $8 to $10. Those who have work experience can have higher earnings which is around $12 to $15 for each hour. Experience – it is a good advantage to have more work experience because you will be rewarded with higher pay rate compared to the inexperienced ones. The salary growth for certified nursing assistants is not fast and easy. It needs about five years of work experience before the individual is able to earn the highest pay rate. Certifications – getting additional certifications lets you to have an expansion of your job description which allow you to have more duties. This means that you will be having extra work while being compensated with an increase in salary. Some of the additional certification which are common that you can take into consideration are BLS, CPR, CMT, and CNA-A. Employer – when you work as certified nursing assistant, it is the discretion of the employer as to how much you will get paid. The basis for this is what facility you will be working either in hospitals, home health agencies, or other facilities. Location – this depends on the area of work whether you will be working in rural or urban areas. The cost of living is also a factor in considering the salary wage. This means that you will get lower pay rate if the cost of living where you are working is low then higher pay rate is obtained for higher cost of living. If you would like to get started learning the skills to work in this profession take a look at these CNA classes in Alaska to get started. Once you have mastered the skills portion you much take the state license exams to become certified to work.